What includes fat and is needed by everyone? Macronutrients! Despite learning the food pyramid in second grade, most Americans know very little about nutrition. We are surrounded by different diets: low-carb, low-fat, no-sugar, no-meat, high-protein. Because of distorted marketing and media, we are led to believe that each of these diets is a quick success to health, defined as a lean body. Even nutritionists are being bashed as not fully educated as registered dietitians. Why is it so difficult to learn about the basics of nutrition? There are 3 kinds of necessary macronutrients: carbohydrates, proteins, and fats. Fats have been notoriously mislabeled to be equivalent to body fat, but really, they are just like carbs and proteins – necessary to be a functioning human. They are used for energy, growth, and bodily functions. 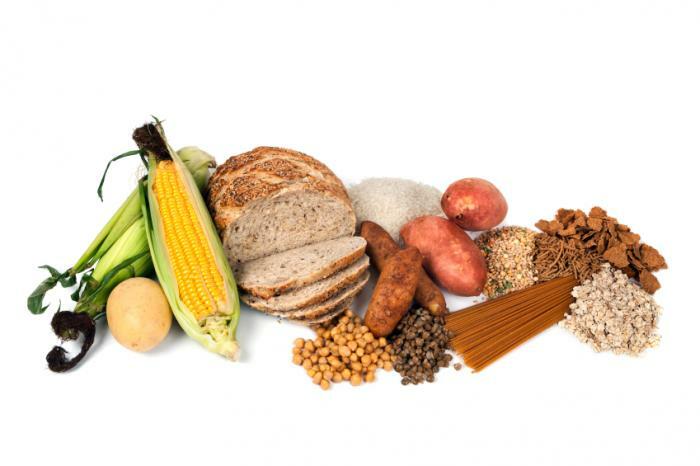 Carbs are sugars that make up most of a human’s ingested calories. They are digested most easily, causing them to be the main source of fuel. While all calories provide energy, burning carbs for energy allows other macronutrients to be used for other important processes (see below). More than just energy, though, carbs are necessary for the brain, kidneys, and muscles to all work properly. Even indigestible carbs like fiber are necessary to help your intestines digest everything you consume, unless you enjoy being constipated. Carbs are breads, bagels, donuts, cake, and everything media tells you not to enjoy, but carbs are also found in potatoes, vegetables, milk, yogurt, and fruit. Even beans, lentils, and nuts contain carbs. There are better carbs than others, and not all foods contain the same amount of carbs. Proteins make up the fuel that helps your cells grow for daily activities, and they also help your muscles grow. Media often tells us that Americans consume too much protein, but I personally think that as a result of this criticism, Americans are not consuming enough protein. If you eat nothing but burgers and chicken and sausage all day, you probably are consuming too much protein. However, this doesn’t mean you should eradicate protein from your diet altogether. Portion control is important, and there is no one fixed number to determine how many grams of protein you should concern. Fats are really lipids and not to be confused with body fat. A low-fat diet does not mean you’re going to have low body fat – it means that your body is not going to be consuming enough macronutrients to function, so it will reserve all calories as fat (your body goes in survival mode and thinks you’re going to be starving for a while and need to preserve any and all energy). Fats are just a poorly named macronutrient that are high density and help our bodies absorb fat-soluble vitamins. They also provide insulation to keep our bodies at a healthy temperature. Since a gram of fat as a higher calorie content than carbs and proteins, you don’t need as many grams of fat. Again, portion control is important. It is easy to think of a body like a trashcan: we throw whatever in there and realize it has to come out eventually. But, we’re not trash! I like to think of my body as a machine: I must power my body with the right fuel so that I am efficient and long-lasting. Arguably, I am a machine. Fruit and vegetables are not in their own personal limbo of carbs, they just have different amounts and qualities of carbs within them. So while vegetables and chips may have the same base ingredients of sugars, they are built with different structures. Vegetables that are unprocessed are better than fried potato chips + chemicals because our bodies need basic, energy-provided structures that are not found in chips. Simply stated, the more processed foods are, the less energy they will provide you. Like I mentioned, there are good and bad proteins too. Typically, bad protein are also high in fat. While fat is necessary, we must keep our portions in check. Top lean protein picks include unprocessed chicken, turkey, and fish like salmon. Nuts, seeds, beans, soy products, and whole grains can also provide protein to your diet, in case you are vegetarian. They also include carbs and fats, so they can be a great addition to a balanced diet. There are good fats (unsaturated) and bad fats (saturated, trans). While saturated fats can sometimes be found in vegetable-based foods, they are in safe, low amounts. Bad fats are found in highly processed foods. These fats are often artificially manufactured and can be very dangerous. Too many fats don’t just make you fat because of high-caloric content, but they can cause heart disease. Good fats can include vegetable-based oils, walnuts, avocados, and fatty fish. Bad fats that you should be most worried about can include margarines, packaged snack foods, fried foods, baked goods, microwave popcorn, and icing. Also, fats can only be digested properly if consumed with carbs. So while ketogenic (high-fat, low-carb) diets exist, they must be done so carefully so that the body can fully absorb all of the macronutrients. ALL FOODS CAN BE GOOD FOR YOU IN MODERATION. If you are consuming enough macro- and micronutrients in a balanced range of calories, any and all foods are good for you. IIFYM (If It Fits Your Macros) is a great way to estimate macronutrient intake of all kinds to make sure you are consuming enough nutrients to fuel your body to be the best that it can be, while also indulging in all of the foods you love. Exactly. Many people these days claim to be an expert, but the common person doesn’t realize that dietitians are more educated than nutritionists. Thanks for reading!